Based in Hanover, Germany, Implandata Opthalmic Products GmbH has announced the advancement of its Pro-IOP eye pressure measurement system, an implantable sensor that could not only reduce doctor visits but preserve the sight of an aging population. Once installed in a patient, the pressure sensor wirelessly transmits data to the doctor's database and provides a layman's version of the data to the patient by means of an app. Glaucoma is known to have negligible symptoms and by the time patients notice the telltale narrowing of their field of vision, it is often too late to treat, which makes consistent, early monitoring an appealing method. "Patients being able to take the reins -- that's going to change the game in glaucoma management," said co-founder and CEO Max Ostermeier in an interview with Relaxnews. 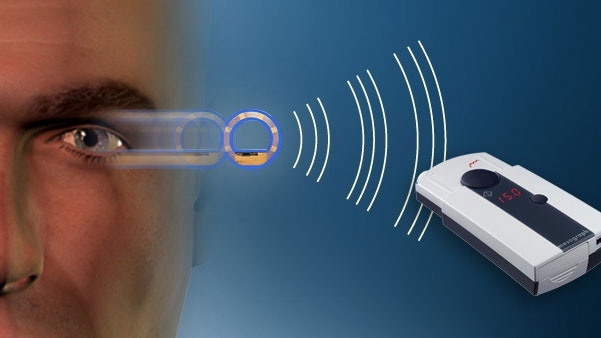 Previous research has indicated the possibility of a micro implant to wirelessly measure eye pressure, although the design it produced was geared towards cataract patients, intended for implantation during cataract surgery. Pro-IOP is unique because it comes in a variety of designs, some of which are tailored to those who have already undergone cataract surgery, others to those who have not and another to those whose needs for cataract surgery and the installation of the micro implant are concurrent. "Not all glaucoma patients need cataract surgery," says Ostermeier. "So there isn't always a need for a cataract lens and for those who don't have cataracts, the sensor can be implanted in a variety of places in the eye." Ostermeier says that for those who don't have cataracts, the implantation procedure is roughly similar to the Lasik procedure, which employs a laser to correct vision problems. Cataract lenses are implanted behind the iris and the procedure is less complicated when there are other options as to where the sensor could be implanted. The company is currently conducting clinical trials in Europe to attain CE Marking, which is required for medical devices sold in Europe, and its first implantation was successful. FDA approval for a pilot study in the US is expected this fall and Ostermeier says he hopes US-based testing will start this winter. "Glaucoma is a growing disease," says Ostermeier, "And as baby boomers age, more of the population is at risk." Ostermeier says he hopes to have Pro-IOP on the market by the second half of next year. He says that at the moment Implandata Opthalmic Products GmbH is focusing on the project at hand, although there is potential for the technology to expand into cardiac pressure measuring. "Who knows where we could go in two to three years," says Ostermeier.